Pope Francis will visit Ireland for the World Meeting of Families 2018 on Saturday 25 and Sunday 26 August 2018. He will attend a number of public and private events during his visit – his full itinerary is available here . Useful information about the public events taking place around the visit. 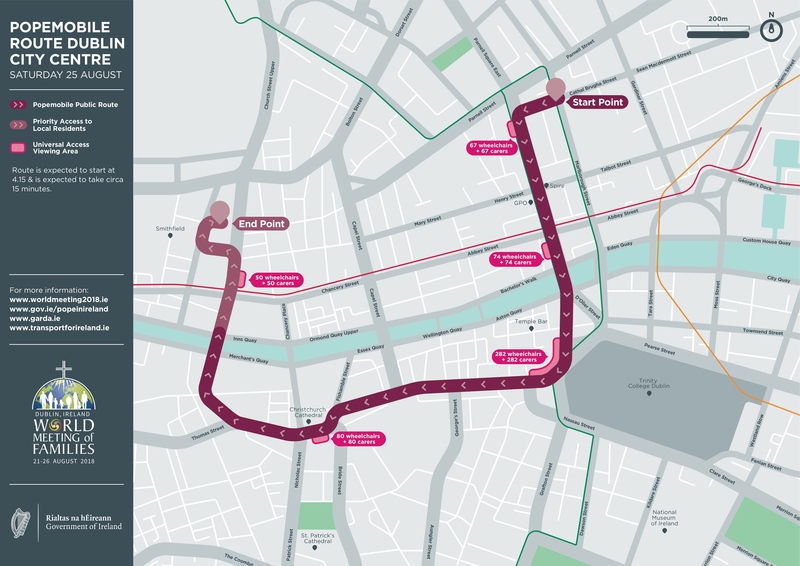 There will be opportunities for the public to see the Pope as he travels through Dublin City Centre on Saturday afternoon. See the route below. A Festival of Families event will take place in Croke Park on the evening of Saturday 25 August. It will be a fully ticketed event. For more information on this event and for other events taking place for the World Meeting of Families, please see the World Meeting of Families 2018 website . 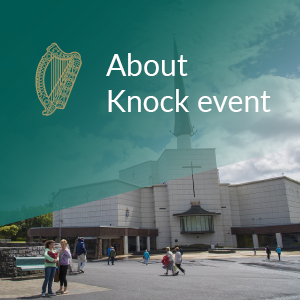 Pope Francis will visit the Apparition Chapel at the Knock Shrine on the morning of Sunday 26 August at 9:45am. More information is available here. Pope Francis will be the chief celebrant at the closing Mass for the World Meeting of Families in the Phoenix Park on Sunday at 3:00pm. The Mass will be at the site of the Papal Cross in the heart of the Phoenix Park. More information is available here.